Voice of the generation, Jaden Smith, teams up with creator Ezra Koenig to bring us anime's magnum opus: Neo Yokio. Neo Yokio manages to be a clever, scathing critique of capitalism, consumerism, and the lifestyle of the bourgeoisie and a brilliant gut-busting comedy satire that will not only give audiences the desire to machinate on ceasing the means of production but also a hunger for over-sized novelty Swiss chocolate. Fashion aficionado Kaz Kaan rocks the pink hair look that just screams "anime protagonist." This melancholic demon hunter undertakes the task of becoming the ichiban bachelor on the top bachelor board. Together with his Aunt Agatha, he exorcises demons around the city of Neo Yokio. Will Kaz be able to get back together with his ex-girlfriend? 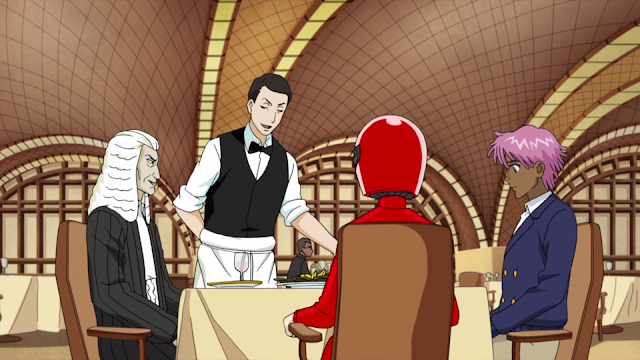 Will he be able to get Neo Yokio's most famous fashion blogger out of her ennui? Will communism finally take root and spread in the city-state dedicated to capitalistic decadence? Find out in the latest addition to the zeitgeist: Neo Yokio.